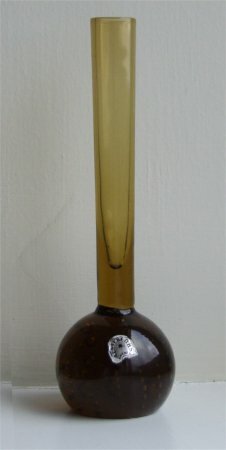 This dark amber vase is approximately 153mm (6") tall. It has medium sized bubbles coming up in a spiral. Typically for a Swedish vase the bottom of the base is completely flat and polished. 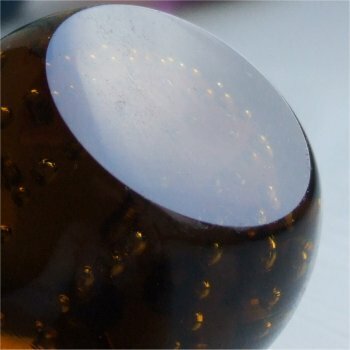 The stem is the same colour as the base and has a narrow flare of approximately 17mm (5/8ths of an inch) across the top. 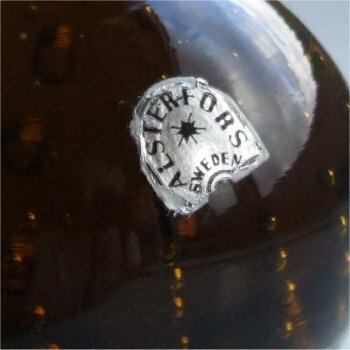 The label has an arch shape, the background is silver with black writing and states "ALSTERFORS SWEDEN" (see images below).